SIU Carbondale won't have to give up five million dollars in state funding to its sister campus next year, but many say the time is coming for a funding reallocation. Advocates for the transfer say it addresses inequality in how state monies are distributed - something System President Randy Dunn says will be even more clear this fall. "There is going to be - potentially - a sizeably larger entering class at Edwardsville that, again, was another piece of compelling evidence that I think warranted at least moving it forward for discussion." SIU Edwardsville Chancellor Randall Pembrook expects overall enrollment on his campus to surpass Carbondale in the fall of 2018 - but SIU Carbondale Chancellor Carlo Montemagno says funding shouldn't be based solely on headcount. "It costs more money to educate a biochemistry student than it costs to educate an accounting student. You just don't say 'We have five students here and five students here, the cost of education is the same.'" Dunn says his office will move forward in hiring a consultant to help the system address how to split state funding between the campuses. He says that process should take less than a year - when the reallocation discussion will likely return to Trustees for consideration. Trustees at Southern Illinois University have scuttled a plan to shift state funding from one of the system's campuses to the other. As WSIU's Jennifer Fuller reports, a bitter battle over funding isn't over. A proposal to shift $5.1 million dollars in state funding from the SIU Carbondale campus to SIU Edwardsville failed Thursday, after a bitter debate over its merits. SIU Students And Faculty Conduct Teach-In Ahead Of The Board Of Trustees Meeting. 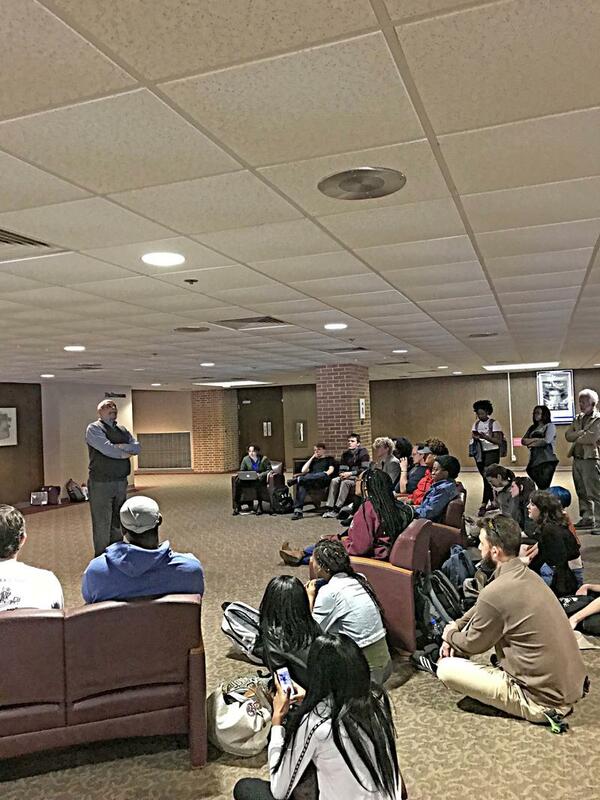 Several dozen SIU students, along with several SIU Carbondale Professors, took part in a Teach-In at the SIU Student Center on Wednesday April 11th, 2018. The speakers urged those assembled to not support the Chancellor's Proposed reorganization plan. 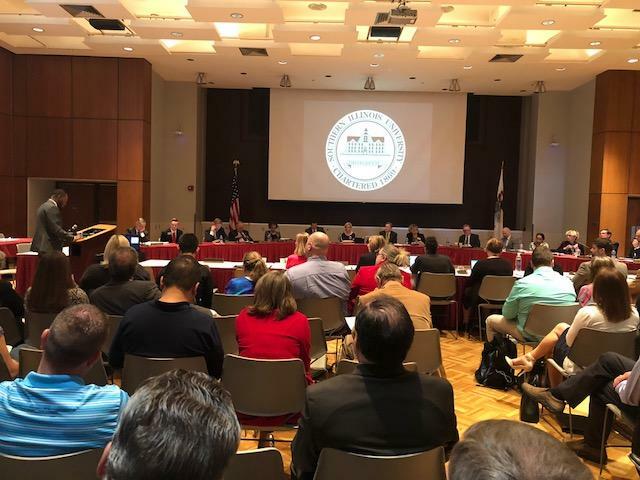 A group of regional leaders is voicing its concern about the SIU Board of Trustees consideration of a fund shift between the Carbondale and Edwardsville campuses. Carbondale Mayor Mike Henry organized the gathering Wednesday at the Civic Center.